Votre Assist@nte.ca wishes to free you of certain administrative tasks so you may concentrate on activities that will generate income for your business. We will accomplish what you don’t have the time, resources or expertise to do. You have repetitive, unique, urgent, or unexpected work. 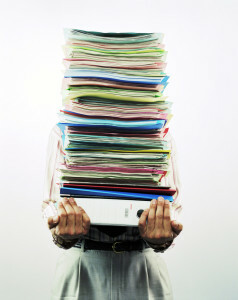 You don’t have an assistant or your assistant is overloaded and needs help. Your administrative workload doesn’t justify hiring a secretary, even part-time. You are in the middle of peak season. A partner, colleague or associate is absent. You need help planning or organizing an event. You have a paper to write or translate and you can’t find the words. You want a “second look” to validate the accuracy and quality of your work. You want to be free of certain duties in order to devote yourself to your profession, occupation or other activities. You’re not very comfortable with Word, Excel, PowerPoint, Visio, Publisher, etc. Then leave the details, planning and organization to us!